I decided that my next project will be a virtual pinball. This is something I wanted to do long ago. But I had no space in the room, until now. 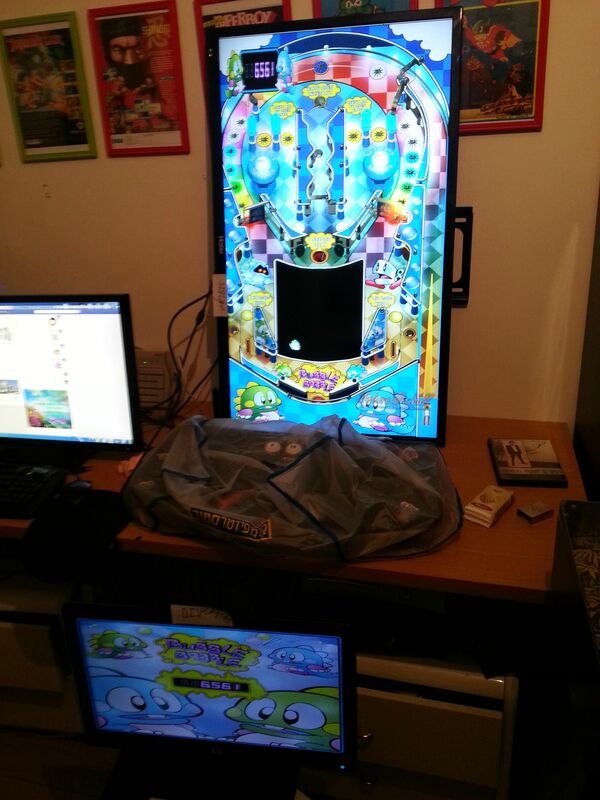 Anyway I decided to go on a screen 40 inches (playfield) and for the backglas 23' wide screen....My question, is it better to put 19' (4:3) for the Backglas or stay whit the 23' wide screen? Virtual pinballs are a waste of time and money. Nobody likes them. i think 23' for the backglass is just fine but it's depending what Size your plans to building the Pinball. I have a 39" PF 23" BG and use a 15" for DMD. In a standard mid 70's Bally cab (FYI - that I salvaged from a barn that was stripped and rotting). Anyhow, a 23" fits almost perfectly width wise. I will also throw out my 2 cents for virtual pins, They can be fun to play and help you learn certain modes but if you plan to compete in league play, it could cause your timing/gameplay to be off. While VP10 should help in realism and physics it's just not the same. i dont think i will instal VP too much headache i already install Futre pinball and hyperpin for the fronted. Neither looks quite right but if it is a 2 screen setup, I prefer 4:3 (or 5:4). Impressive project! Best of luck to you!